Introduction: Duncan Kuehn is a professional genealogist with over eight years of client experience. She has worked on several well-known projects, such as “Who Do You Think You Are?” and researching President Barack Obama’s ancestry. 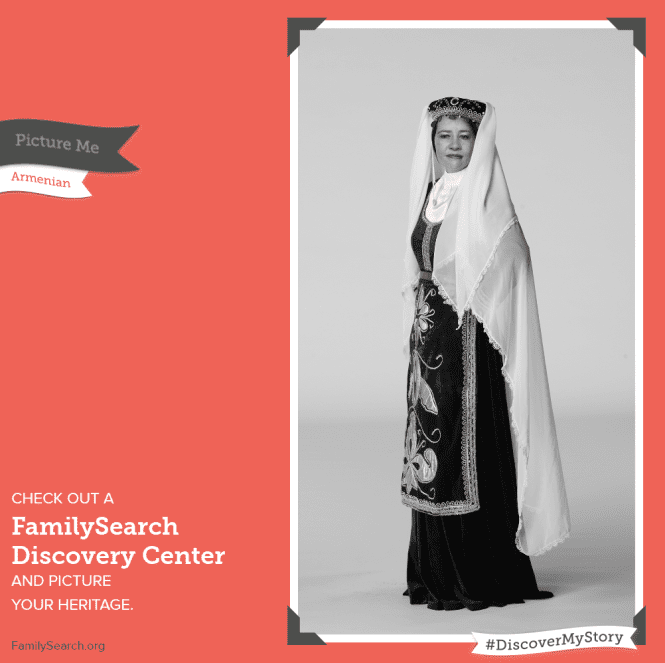 In this blog post, Duncan describes a recent visit she made with her three children to FamilySearch’s new Discovery Center. Recently a friend of mine, Randy Hoffman, told me about FamilySearch’s new Discovery Center in Salt Lake City, Utah. I was super excited! Randy is involved in the operation of the center and he described it as “a way to bring the fun back into family history” and a “great family activity.” I immediately signed up to go and happened to be one of the first groups to visit. Strategically, I didn’t tell the offspring where we were going until just before we got there. Then I stated that we needed to do my friend a favor and find out if his recent project was any good. Being naturally helpful people, they were willing to go along with this as long as we didn’t spend too much time there. Upon entering the brand new Discovery Center they were presented with their very own iPad to use during the tour. That won them over. My kids, like most, are suckers for technology. They were instructed to take a selfie, which they all managed easily. However, they had to help me get one that looked decent. Apparently, there is an art to taking a self-portrait. My daughter, as you can see below, had no trouble. Once we signed into our FamilySearch accounts, we snapped the iPads into the first docking station: “Discover My Story.” Our iPads projected information about our names onto a large screen. This elicited excitement. “Hey, look at this!” the youngest called out. 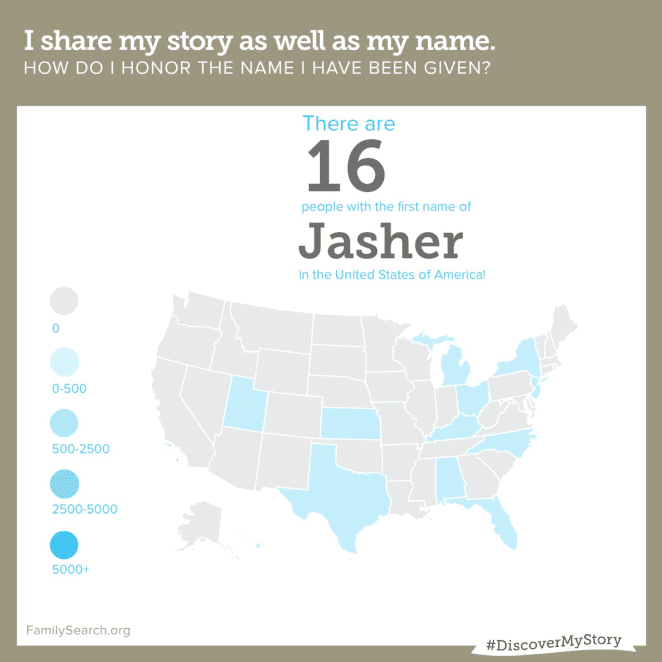 He found that in the 2010 census there were only 16 other people named Jasher in the entire United States. He declared that all the Jashers of the country should get together and swap stories about having such a unique name. At another docking station was a mapping tool called “Explore My Story.” When you plugged in here, pins dropped all over the world map to indicate where each of your ancestors was from. Unfortunately, my map was fairly bland since my ancestors have been in the United States for many, many generations – and then my ancestry hops back to the United Kingdom. My kids on the other hand are half German from a fairly recent migration, so their maps had more variation. What was most interesting to me was the ability to click on a pin and get information about that ancestor. And guess what I found! 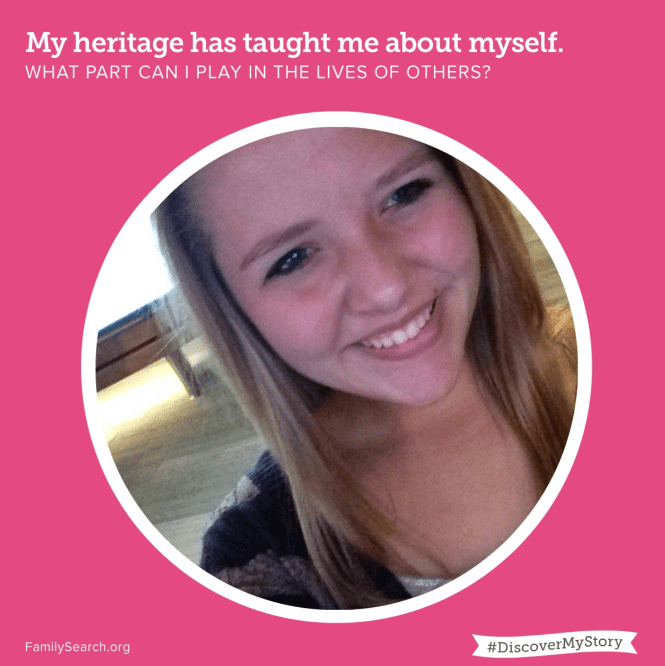 Many of my ancestors had multiple stories attached to them – long, interesting stories. And photos! No way! How did I not know this? Probably because I am so busy researching other people’s trees. But I was sure excited to do some poking around in my own tree that weekend. I really enjoyed the time machine, or what they officially called “Experience My Story.” This room had a giant screen showing the interior of a house, and documented the changes in furniture and amenities over the years. I spent quite a bit of time in there going backward and forward in time to watch the changes. My kids, on the other hand, filtered in and out of that room. They had discovered the photo booth called “Picture My Story” and were capturing images of themselves in traditional dress from around the world. I was grateful the Discovery Center was an enclosed area (and we were the only ones there) because of their shrieks of laughter as each new photo got a bit more out of control, particularly from my selfie-obsessed daughter. Here’s a picture of me in an Armenian dress. Our favorite station, and the one we spent the most time in, was “Record My Story.” We plopped down together on a couch in front of a large screen. On the screen were various topics to discuss. Our first choice was: “Embarrassing moments.” I related the experience I had in 6th grade when my long-time crush finally noticed me. He was just saying hello for the first time as we walked across the playground when I slipped on some ice. I had, unfortunately, chosen a skirt to wear that day in an effort to impress him. Skirts and ice don’t go well together and you can imagine the outcome. I lay there horrified as everyone laughed. It was a horrible happening then; great story now. And now my memorable life event is recorded for all time and eternity in audiovisual format. We stayed at that station for at least half an hour, having a great time together recording our personal stories. My kids and I were laughing and trying to outdo each other for the funniest story. Finally, the friendly couple in charge of the center had to gently inform us that our time was up. And for the first time ever, my kids were sad to leave a genealogy-related activity. They asked if we could get the cousins and come back. According to Randy Hoffman, that has been a common response. One little girl even asked if she could have her eighth birthday party there! Since the goal was to put the family fun into genealogy, I would say the center is a raging success. On the way out, we paused to take this family photo. 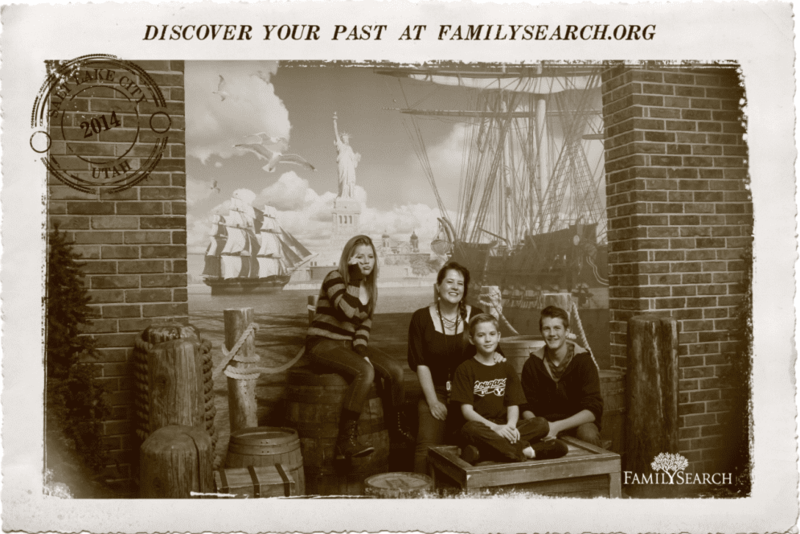 The picture immortalizes the day we all had fun at a family history experience. 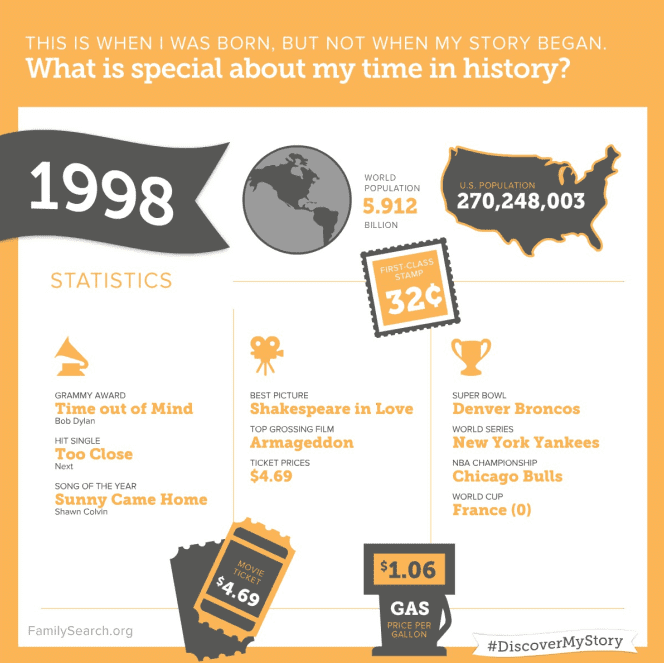 Have you had a recent family history experience that was fun for the whole family? Please tell us about it in the comments section! 30 Activities, Games & Ideas for Family Reunion Fun!